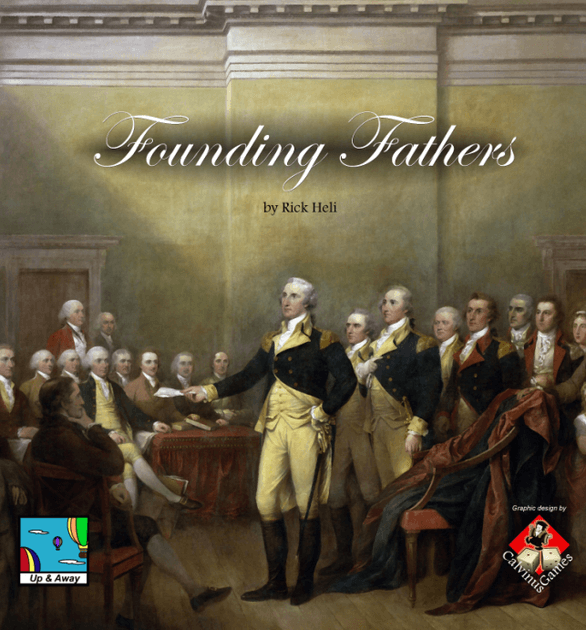 Judging interest in a Founding Fathers forum game. So rather than continue to clutter up the RoR thread I thought it was worth starting a new thread to judge interest in Founding Fathers. There can be up to 6 players in the game. I believe @Panzeh is looking into whether it is practical to do a forum game, and if so he might be willing to moderate or play. I also believe @CF_Kane is getting the game and would possibly play or moderate. I don’t have the game yet but would be willing to order it and play if there is enough interest. If anyone else has an interest in playing, please post in this thread. Also, if you are interested then please post if you prefer the base game or using either or both expansions. Edit - We have 5 players with @Navaronegun, @Cuthbert, @Ironsight, @Brooski, and @Panzeh playing with @CF_Kane moderating. In like Flynn. Down for whatever. I think I’ve played a game of that on yucata. I’m full up on forum games for the time being, though. You might want to post a link to this thread in the all-purpose forum game thread @Ironsight. I would join if there’s room, always ready to get mad about Whigs, etc. Wild that it’s on Yucata. Is there any downside to just using that implementation? The Yucata version is a different game with the same name. We’d need to do a custom implementation of this one, as it is a print on demand title with no VASSAL as far as I can tell. I am happy to run the game and put together some google spreadsheets or whatever to keep things organized. I’d be down to play and help come up with the tracking materials. Edited my original post to keep track of who wants to play. Nobody has expressed any preference to adding expansions so far. I’ll have to check out the expansions on BGG to have an opinion. I only learned this game exists yesterday, and my only frame of reference is the implication that it’s like Republic of Rome. I bought the green version and both expansions. Estimated ship date is March 4th although I’m willing to start sooner if need be. @Kolbex, do you want me to add you as a player or are you not sure yet? Those are probably the most interactive mechanical parts of the game. I’d have to see the rules for the expansions, although from the descriptions neither sounds terribly vital? @Panzeh - It does look like the elections will consume the most time as those cubes have to be placed one at a time. @Cuthbert - Agree that the expansions add more chrome than anything vital. Maybe since a couple of us are new to the game it would make sense to play just the base game? I would lean towards the base game. The other question is about optional rules. I tend to think that the Persuasion rule makes less sense in the context of US politics than in Roman factional politics, in part because the player roles in Founding Fathers are not as neatly defined thematically as those in RoR. I would be fine with using the Reduced Faction rule if other folks want to use it. I’m not sure about the effect of the black reputation rule, having never played the game before, but I don’t think that it is particularly thematic. I think i’d prefer to stick with the base game. Probably the important thing in a presidential election will be to have a graphical indication of the electoral map. I’m fine without using the optional rules just to keep it simple the first time we play. @Brooski @Navaronegun, either of you guys in for this? I’d be interested. I think Force 10 from Navarone already said he’s interested.